NEO claw hammer is mainly used for precise driving nails. Handle is made of fibreglass, this material is very resistant to temperature changes, moisture and mechanical damages, which is very important when working in a workshop. 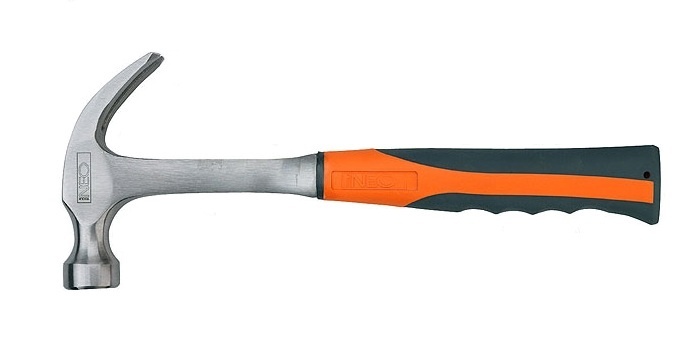 Rubber coated handle with ergonomic shape ensures high working comfort. Head forged from high quality carbon steel that allows to obtain high surface hardness. Product reliability is guaranteed with TÜV Rheinland certificate and manufacturing process compliant with DIN 7239. NEO brand meets expectations of professionals.